Michael Burns practiced law for five years in Manhattan with two major law firms as an intellectual property litigator. 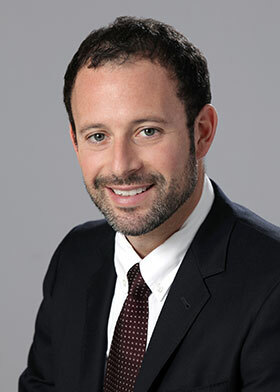 He left private practice in 2007 to start a New Jersey-based land acquisition and development company. He acts as his company's in-house counsel and, through his business, he has gained additional knowledge and expertise in real estate transactions, real estate tax appeals, business litigation and commercial transactions. Michael received his undergraduate degree from Boston University's School of Management with a focus on international management. He spent a year abroad where he studied international business and law at the Copenhagen Business School in Denmark and he studied Spanish at Trinity Christian College in Seville, Spain. He earned his J.D. degree from the Benjamin Cardozo School of Law and was an editor of the Cardozo Journal of International and Comparative Law. During law school, he interned for former United States District Court Judge Honorable Nicholas Politan in the District of New Jersey. Burns is licensed to practice in New York and New Jersey, as well as in the Southern and Eastern Districts of New York, the District of New Jersey, and the Third Circuit. He now serves as an officer on various non-profit boards and he has received various leadership awards including being selected as one of the AC Weekly's "Top 40 Under 40" in Atlantic County. "All too often, lawyers do a great job of analyzing legal issues but overlook what makes 'business sense' for their clients. I realize the need for and importance of putting on two caps, my 'legal cap' and my 'business cap,' to find practical, "real life" solutions for my clients that make the most sense for their bottom line."